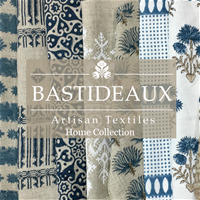 BASTIDEAUX is a boutique textile house specializing in artisan made textiles. 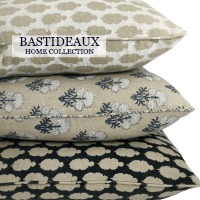 It's founder, Camille Bastideaux, has designed and curated a collection of textiles, that are timelessly classic, contemporary in view and bohemian inspired. Featuring pillows, throws, tabletop and scarves. Artisan made textiles. It's founder, Camille Bastideaux, has spent over 20 years as an interior designer and proprietor in the home furnishing industry. 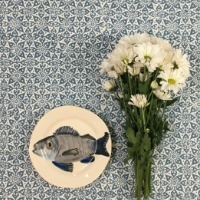 With a passion for textiles and eye for color, she set out to design and curate a collection of timelessly classic, contemporary in view, bohemian inspired textiles. She travels the globe in search of ethically produced textiles, working closely with artisans in Rajasthan, India, who use hand crafted techniques in block printing that have been passed down for centuries. Inspired by our textile range. Hand block printed on 100% Linen.